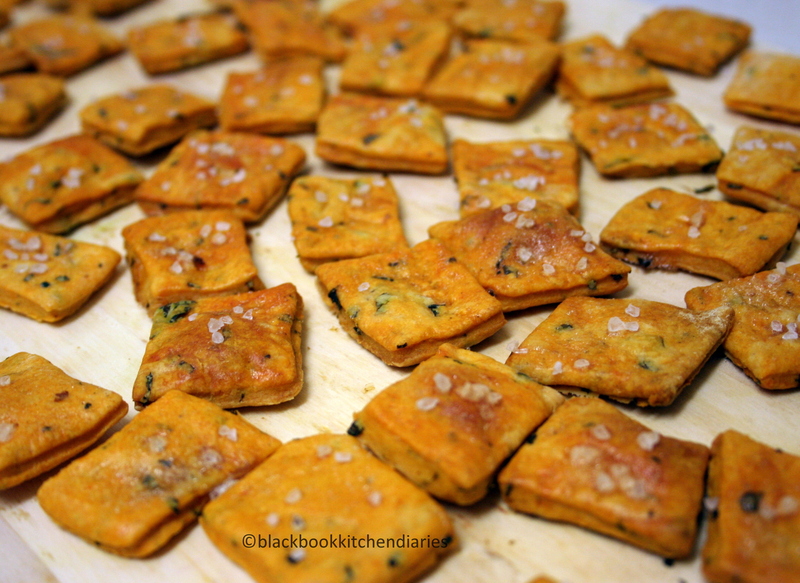 These cute little savory darlings make an excellent snack to have on hand to serve it over drinks, over cheese and it goes really well pairing it with you favorite bowl or (if you’re like me), a cup of hot soup. Chances are you probably already have all these ingredients sitting in your pantry. So, whipping these up would be a breeze. I really love the use of fresh basil in here. 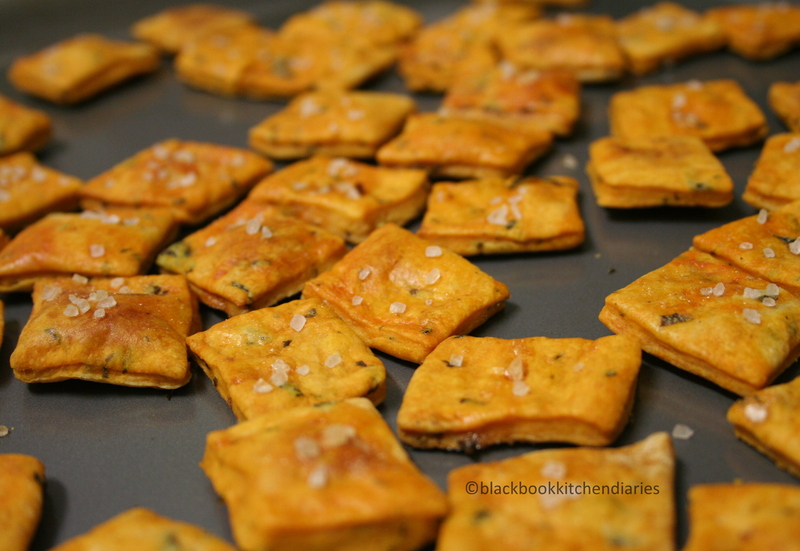 It gives out a nice depth of flavor in these crackers and I wouldn’t substitute it for dried basil because that would be crazy. The sprinkle of sea salt on the top just makes the whole flavor pop! I usually make an extra batch and store it in an airtight container or you can also freeze it. You know, just in case. Sift flour into bowl, rub in cold butter. Stir in chopped basil, tomato paste, salt and pepper. Add enough cold water to the mix to a firm dough. Knead gently on lightly floured surface until smooth. Cover, refrigerate for 30 minutes. Roll dough fairly thin on lightly floured surface. Prick all over with fork then cut into 1 inch squares, place about 1/2 inch apart onto greased cookie sheet. Brush with a little egg white, sprinkle with a little sea salt. Bake for 15 minutes or until lightly browned, cool on cookie sheet.